Okay, January is coming to its end but we haven’t met for quite a long time so Happy New Year, guys! I’m here with another apps digest. This one comes with a bunch of new X-Cart 5 addons and integrations. New tools for promoting your products, integrations for smoother administration, essential payment systems, and more. Check them out and see if they’re what you’ve been looking for. Looking to promote your products to those who are searching for them on Google? No problem. This is an integration with the ever-so-popular Google marketing tool made by the mutual parter of X-Cart and Google. An average of 3x higher conversion – impressive, huh? Clym have proved to be pro in terms of data protection. This GDPR addon adds a consent form to your website in a few clicks – all shown in the video instruction at the addon page. This addon is necessary for installing and using the following several addons. Altogether, they integrate your X-Cart store with your ERP and accounting systems with the help of nChannel. With this addon, you get automated order fulfillment, inventory sync, product and customers’ data update. Can you remember at least one costly mistake because of a manual data entry? Well, you can eliminate such errors with this addon. Do we even have to mention how much time and nerve it saves? This addon integrates your online store with QuickBooks Online – the accounting system – to automatically sync data between them. If you did this manually till now, just get the addon and forget about the uninteresting routine. With the help of this addon, you can integrate your X-Cart store with any other business systems to automate order fulfillment, sync the inventory, etc. It supports CSV and XML files for export and import. This integration allows you to personalise customers’ experience at checkout. Each of your clients will see landed cost in their currency, get accurate shipping estimation depending on their location, which can greatly improve your conversion rate. Is it cool or what? Another Zonos’s addon that will make your cross-border customers even happier than a puppy would. Just imagine, it can detect your customer’s location by GEO-IP and add a widget with the most valuable tips for them in their language. Cool? Wait till you know Zonos supports 18 languages. This application adds WhatsApp contact button to the footer of your website and right next to the Add to Cart button. Let your customers know you’re right there if they have questions! This is a global payment processing system. It’s robust, smooth, simple, and personalised. It integrates with your store via X-Payments, which means it supports recurring and pre-auth payments and is PCI compliant out-of-the-box. HumCommerce is a conversion rate optimization tool. This addon allows you to analyse your customers’ behavior as well as your online store’s traffic data. Get to know where your customers get confused and make corresponding changes to improve your funnel conversion rates. With this addon, your site’s visitors see popup notifications every time your store receives an order. They see what products are being bought, which creates an impression your store is popular and products trustworthy. And did you know websites with such notifications show 10-15% higher conversion rates? This is a popular shipping courier in Russia, Belarus, Kyrgyzstan, a must-have for those of you who trade in these countries. This is an integration with the complex software system that allows you to manage inventory, orders, shipping, accounting in X-Cart along with other sales channels, including Etsy, eBay, Amazon, etc. This means you can manage several sales channels at a time, and cost-effectively, too! Another integration for those who trade in (or with) Russia and russian-speaking countries – a banking one. The integration with the Ural bank of Reconstruction and Development allows you to process credit card payments on your website and save on transaction fees. We continue to update our collection of human-made translations for your online store. Today Swedish has joined the growing list of available translation packs. Oh, and it’s free! Accept crypto currency payments in your eCommerce store. You may keep the earned sum in crypto or convert to EUR. Another integration to accept crypto currencies. It ensures safe, fast and smooth checkout that will please your clients. It supports one-click payments that work on any device. Need to sync the orders with your accounting system? This integration makes it simple. You will no longer need to enter the data twice. By the way, this addon allows to sync old orders as well, which is a rarity, to be frank! 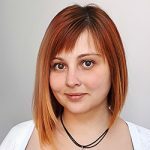 Nastya has worked in Customer Care for five years and now writes content for X-Cart. Knowing what X-Carters need, she finds it important not to just advertise but bring real value to eCommerce business owners. She is totally into kids and dogs.